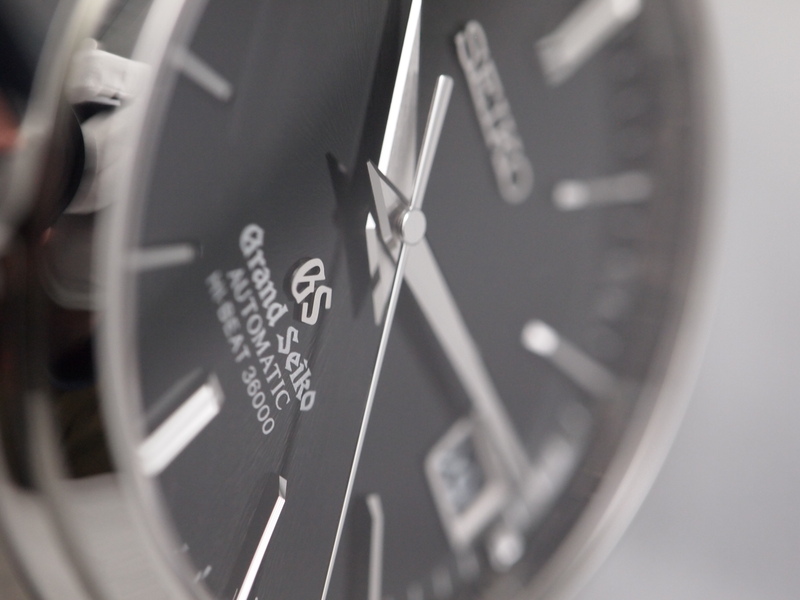 It is very easy to be seduced by the “Swiss Made” allure of watchmaking. At a certain point in time, the Swiss managed to convince the world that they were the only teeny country in the world that could produce timepieces of prestige. No one who knows anything about watches is immune to the reliability and quality that stands behind a Rolex or the words “Certified Chronometer” on a dial. To their credit the Swiss have been able to guard this like a hawk for a generation, as the market has been content to buy complex components such as hairsprings rather than innovate on their own. 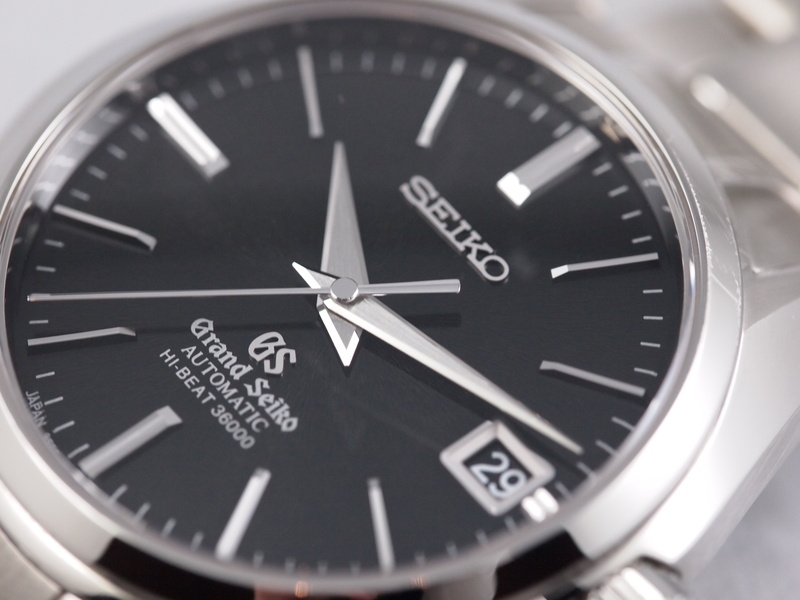 Fortunately that is rapidly changing and watch companies have begun investing heavily in R&D and starting to use new materials and methods to produce ever more reliable “in-house” movements, but what might come as a surprise to many is that Seiko has been doing this for decades already and in many respects is ahead of the vast majority of Swiss companies. One could convincingly argue that they are the most advanced watch company as both their Quartz and Mechanical movements stand among the best of timekeeping and is unequivocally on the cutting edge of technology. 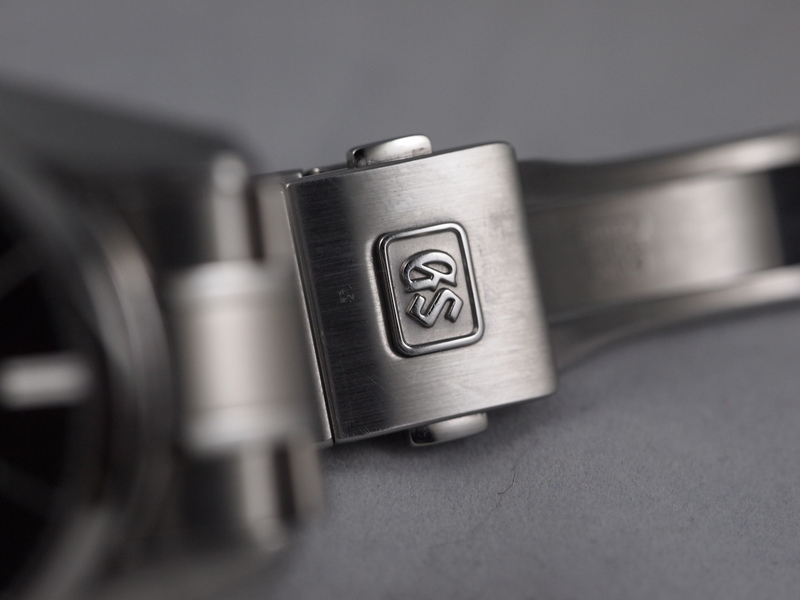 Unfortunately for the brand, they shot themselves in the foot by never widely releasing their top of the line watches such as the Grand Seiko, King Seiko, or Ananta in the US. 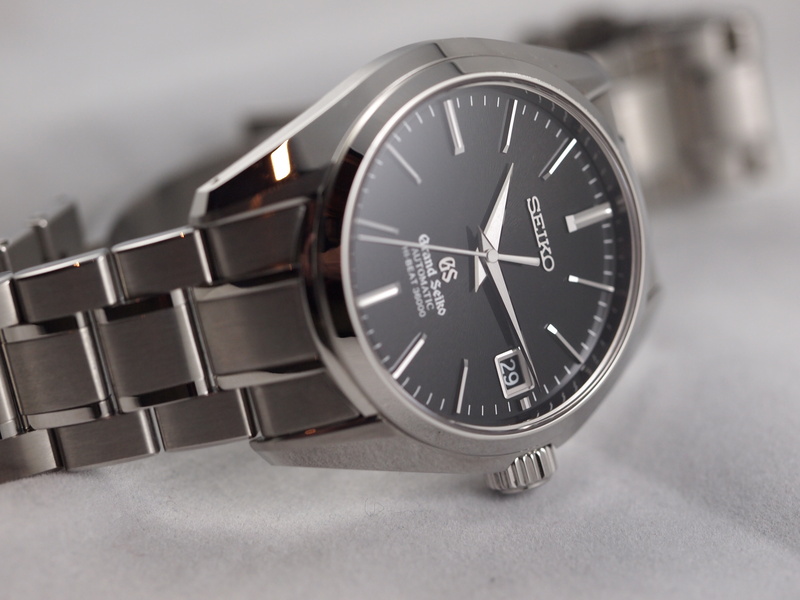 As a result they came to be known as the company that produced mass-market low-end quartz watches. With the recent release of most of their pieces in the US, the opening of a high-end boutique in Manhattan, a strong marketing campaign, and a devoted vintage collector base they are hoping to climb the ladders of perception. 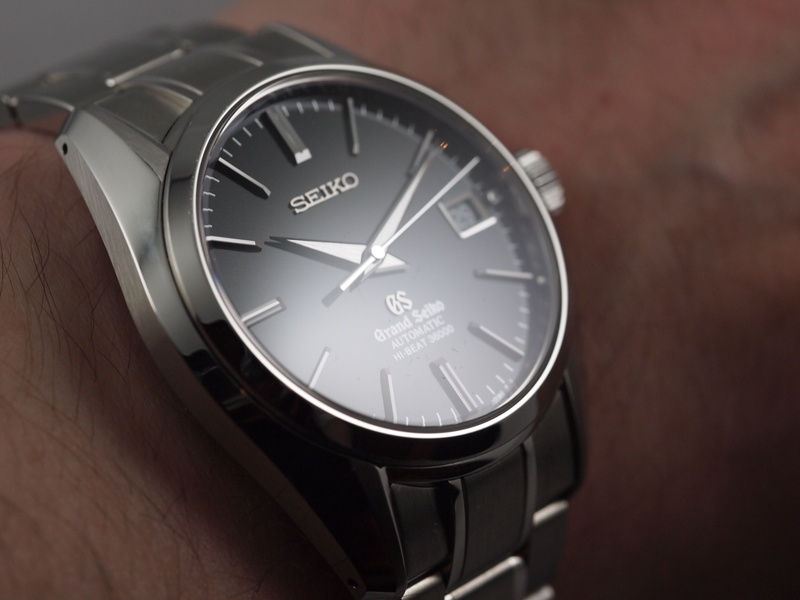 I can say that after a few months of my new Grand Seiko Hi-Beat on the wrist I really think they are really bringing their A-game to the US market. When the time came to add a new high-end watch to the collection, I was bouncing between something new and less known or a standard collection addition (Rolex or Omega.) 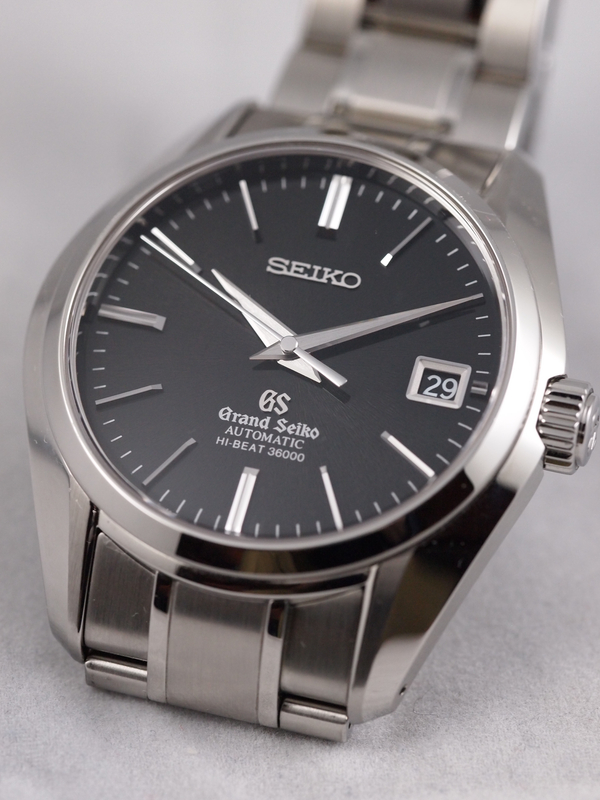 After a great deal of thought I decided to add a Grand Seiko to my growing collection. 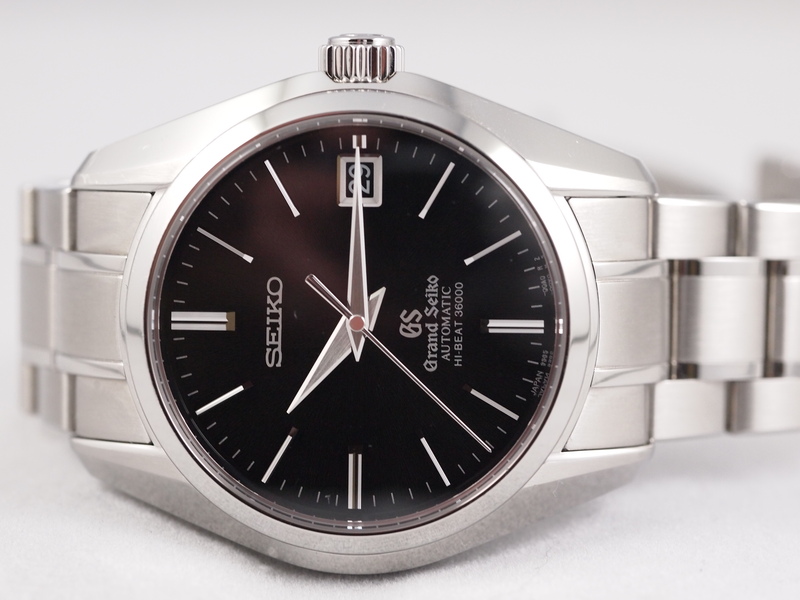 I had often tampered with the idea of getting a vintage one on eBay but figured if I wanted to fully appreciate a Grand Seiko at its absolute prime I would have to go with a new one. I originally tried on the SBGR053 and the SBGR057. The first one was too small for me. At 37mm it is perfect for people who are anti-big watches . On the SBGR057 I just was not a fan of the crown guards, but that’s just me. Then I tried the SBGH005 and fell in love. At 40mm it was perfect on my wrist, and I had to have it. The way this watch plays with light is really something that needs to be seen in person to really be appreciated. Everything from the lug lines to the textured dial to the mirror polished edges of the hands catches light differently and is seducing in its own way. The one double-edged sword with this particular form of design is that a single smudge is much more apparent than against a matte or fully brushed finish. Smudges aside, this is one of the most beautiful and different pieces that exists in the under $10k chronometer world. The movement is their high-beat 36,000 bph 9S85. It goes without saying that a movement of this caliber is going to be beautiful. 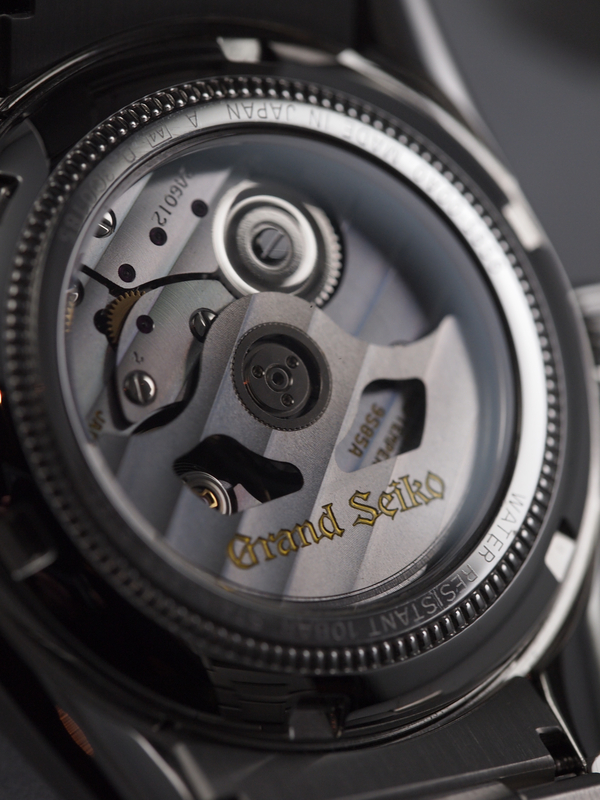 Both the rotor and the plates are decorated with Geneva Stripes (funny that a Japanese movement has them.) It is smaller in diameter but thicker than comparable Swiss calibers. It has a precision and sturdiness and precision in design and build that is what one can only describe characteristically Japanese. It is clean, utilitarian, and beautiful without being over the top. You can tell that more goes into the mechanical development and the accuracy than the decoration, and its not a bad thing aesthetically or functionally. 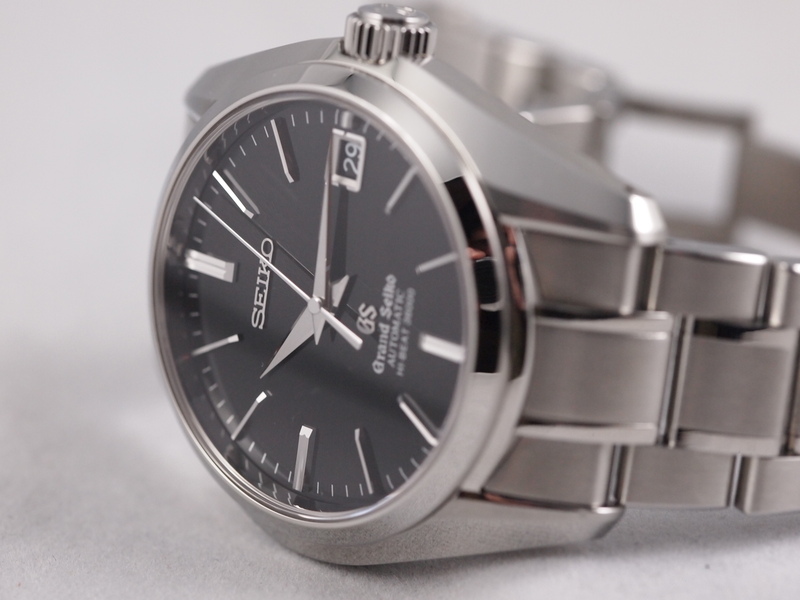 While the COSC will only certify movements that are “Swiss Made” Seiko has made it clear that not only is their movement worthy of the title of chronometer, it exceeds the Swiss requirements. 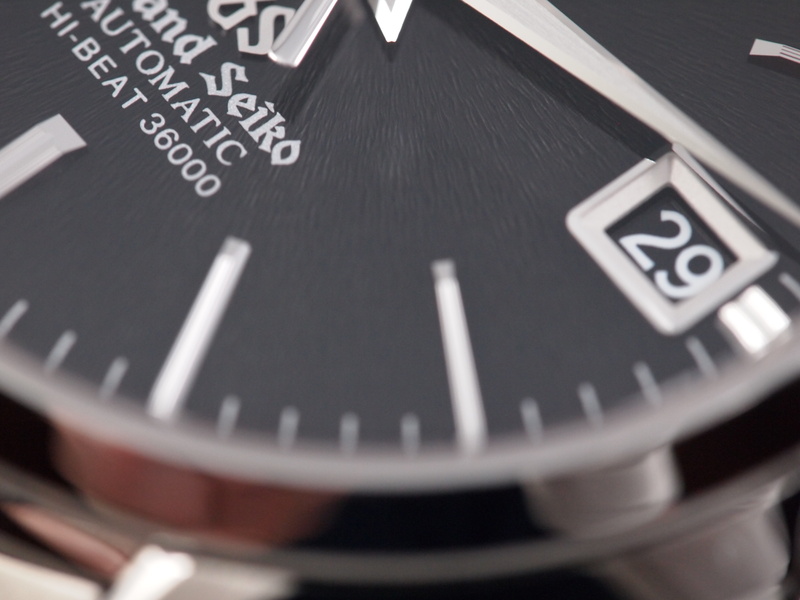 The first Grand Seiko received stellar timing results from the COSC back in the 60s when they were still testing foreign movements, and they have kept their standard just a notch higher ever since. With a +5/-3 accuracy limit in any position it is slightly more accurate than what is required by the COSC at +6/-4. 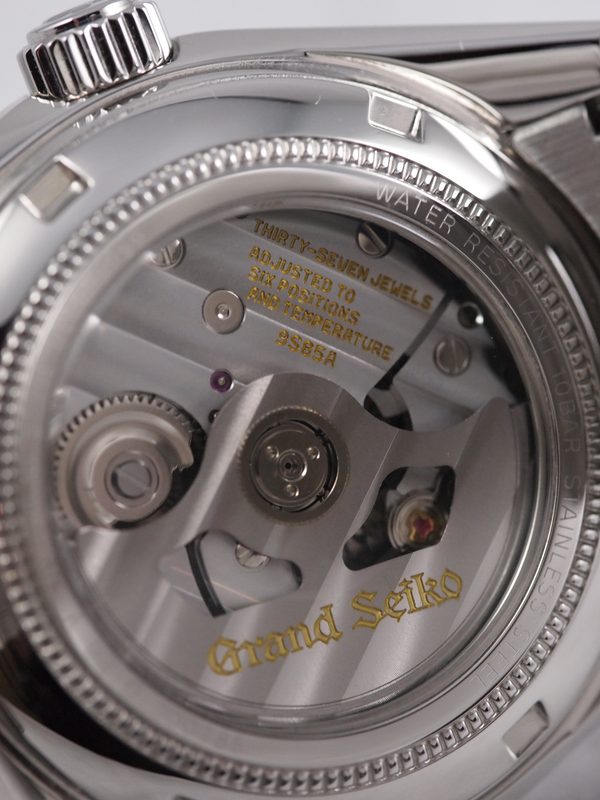 Their 17-day testing regimen ensures that every Grand Seiko that leaves the factory is going to be of a quality that compares to if not exceeds the accuracy of other Swiss movements at a comparable price point and above. Finally on the movement, Seiko is one of the very few who can consider their entire movement “in-house.” It is a term that gets thrown around far more loosely than it should be but when it comes down to it Seiko makes everything in this movement including the most difficult parts that many companies outsource such as the mainspring, the hairspring, and the escapement. While the power reserve is not the most impressive thing at 55 hours, just how hard that is to achieve on a 36,000 bph movement cannot be understated. With all the marketing around the supposed quality of “in-house” movements and “Swiss Made” watches, its tough to confidently take a step off the beaten path with a new purchase but for those who seek them, there are some hidden gems of horology. For my newest high priced acquisition I wanted more out of my new addition rather than just “hey look, I got another Rolex, but this one has a different dial and bezel” or “look at the different costume on my ETA chronometer.” My new Grand Seiko and the whole line in general represent a pinnacle of both chronometry and in-house manufacturing that is arguably unmatched at the price point. The refined and timeless styling make it a watch to keep in the collection for many years to come, and the incredible movement will ensure it will be accurate the whole time.